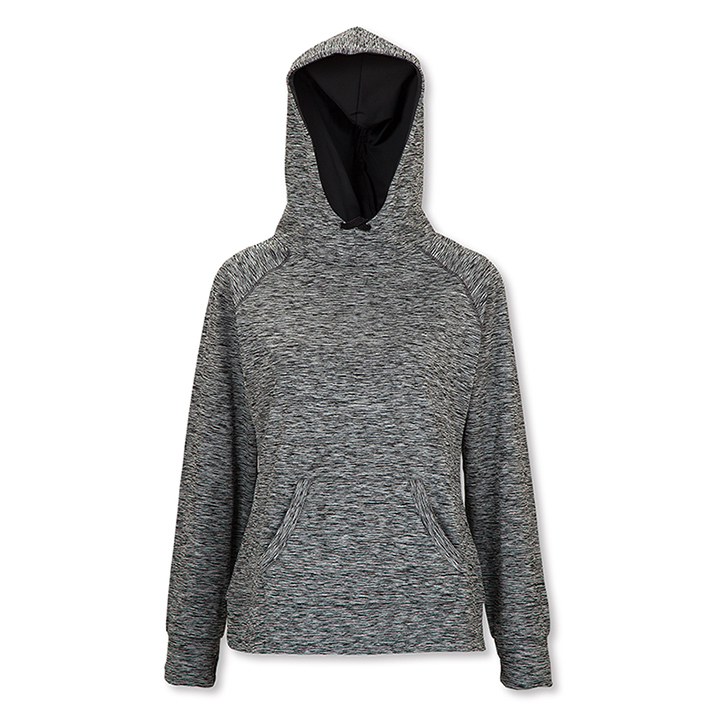 This hood will keep you warm on your run and after. 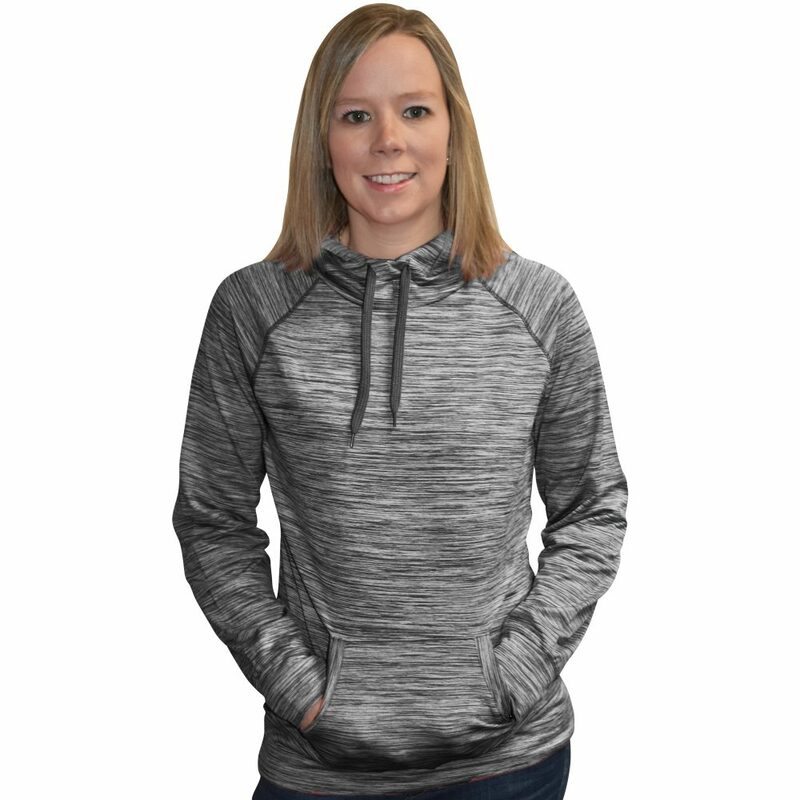 Made out of a great sweat wicking 88% polyester 12% spandex fleece that will keep you warm and dry. It is in a great marl colour. 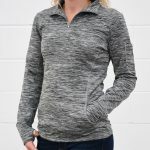 It also has thumb holes to keep sleeves down for layering and a roomy pouch pocket for all your stuff.